Officers have treated a group of Belarusian youngsters who live in areas close to the Chernobyl nuclear disaster site to a trip around Force Headquarters. The area in the former Soviet Union is still highly contaminated by radioactive fallout from the 1986 nuclear explosion and their visit forms part of a month long trip to Leicestershire where they receive recuperative care in a bid to boost their depleted immune systems. 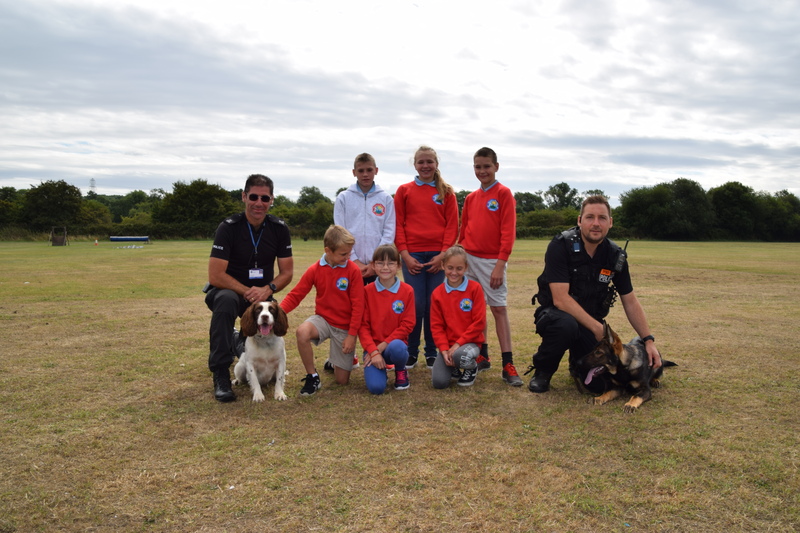 Some 13 youngsters, aged nine to 12 years, spent the morning with the dog handling team where they got to see the dogs in action and hear about the meticulous training they go through. Their visit was organised through the Friends of Chernobyl’s Children (West Leicestershire) charity. PC David Oliver from the tactical dogs and firearms team introduced his Spaniel, Mabon, who is trained to sniff out explosives, while PC Darren Sewell, from the same team, introduced his five-month-old German Shepherd, Arlo, to youngsters. Arlo is still undergoing general purpose training. “When the charity first got in touch to ask if we could accommodate the youngsters, we jumped at the chance,” said PC Oliver. “We know just how popular our dogs are and we wanted to make sure the young people had the best time possible so that they could take some great memories back home with them. Each year the charity provides a month of respite in Leicestershire for children living with the after effects of the nuclear catastrophe that has left a legacy of radioactive contamination which will last for decades to come. Youngsters get to enjoy the fresh air and take part in a range of stimulating activities including swimming, bowling, sailing, crafts and visits to local attractions. The charity also provides essential health checks for the children during their stay. Accommodation is provided by local volunteer host families who work in partnership with the charity to give the children lots of loving care and respite during their stay. Jo Eaton from the charity said: “I host a child myself and it’s been incredibly rewarding to see how they change throughout their visit. They leave looking so much healthier than when they arrived and I know they all thoroughly love the experiences they get to have. Anyone who is interested in getting involved in the charity’s work, including hosting a child next year, should contact local group coordinator John Buckby on 07738324947.